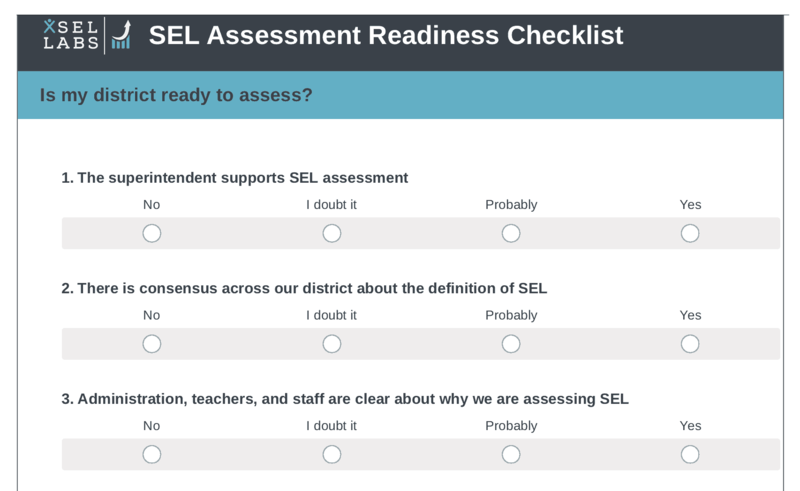 This checklist helps your team reflect on its readiness to begin assessing students’ social emotional learning (SEL) skills. We hope you find it helpful as you work together to prepare for success with SEL assessment. Like our other assessments, this is intended for formative purposes. Go ahead and take it. Use it to reflect on your district’s or school’s strengths and needs and readiness to make the most of SEL assessment.